Start Checking off those JOBS on your "TO-DO-List" Today!! We are New York Handyman Services and we "Love Lists". Whether it be a "To-Do" List, "Maintenance" List, "Punch" List, or Whatever your List may be, we have you covered. 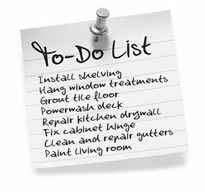 With just one call, text or email you can have NYC Handyman services start eradicating your TO-DO list Today. So Dismiss that List to us, you'll be so happy you did. Just call - text - email or completion of our quick quote request form, with your project details and your free estimate, will be on its way, pronto. We can schedule and price your handyman service requests by the hour, by half-day increments, by full days or by the week. Busy schedules leave little time for Residence Repairs and Odd Jobs. Now your growing "To Do" list seems overwhelming and unmanageable. Where do you even start? Let New York Handyman Services handle it. NYC Handyman is Professional. Safe and Reliable. Our handyman services are on-time, on-budget, every-time -- that's our guarantee. New York Handyman completes all your major - minor home and small business repairs in a quick, efficient manner. We keep your free-time, free. Let us take care of that "To Do" List, for you today, so you can spend your valuable free time doing things you really enjoy. If you own or rent a residence or business in the New York City area, it can be very difficult getting a contractor to your door for a "small" job. We specialize in providing reliable repair, improvement and maintenance services for those jobs for which you don't need a general contractor but that are just too complicated or time-consuming to do yourself. Whether you're looking to refurbish your kitchen, paint a bathroom or hang some pictures, one call does it all. We are New York's #1 Handyman Service and Home Improvement Professionals. Let New York City Handyman handle your Remolding, Repairs, Odd Jobs and Home or Business Renovations, Big and Small, We Do it All. Contact your Local-Family owned and operated New York City Handyman Service to plan your next Home, Office or Business improvement Project/Job or List Today, Call or Text us at.... 347-768-2503. 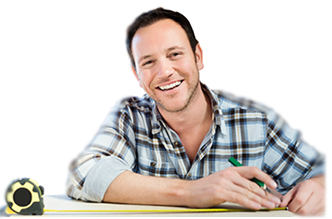 Are you looking for a Handyman in New York City? If you are on the search for affordable and professional Handyman Work, NYC Handyman Services has you covered. Our Crew of Handyman are top notch, respectful, tidy and professional. No job is too big or small, so give us a call, text or email now, we are New York's most Affordable Handyman Service, we were voted New York City's Number One #1 Handyman Company for the second year straight. We Paint, Clean Gutters, Rebuild, Assemble Furniture, Clean, Sheetrock, Hang Pictures, Mount, Install, Yes We.....Do-It-All. Whatever your job, whatever your task, New York Handyman Services can help. We are qualified local professionals, hands on to help householders and small businesses deal with all those little odd jobs that for all sorts of reasons never ever seem to get completed. The inspiration behind the creation of New York City's #1 Handyman Service was the challenge of finding skilled tradesman that were prepared to deal with small odd jobs, minor remodels and repairs. Most either were not interested or charged way over the top. It was clear that a "GAP" existed and needed to be filled with a competent well-run, low cost Handyman Service geared to handling large and small jobs, minor repairs and routine maintenance tasks with down to earth affordable prices for NYC, Brooklyn, Queens and our native sand, the Rockaway's Peninsula accordingly New York's #1 Handyman Service was born. New York Handyman is dedicated to providing you with efficient and cost effective services. Our prices are very fair and straight forward and we offer a service guarantee so you can rest assured you'll receive the service you deserve with quality materials, superior workmanship, reliability and on-site honesty and integrity. Don't pay inflated prices for specific tradesman when "NY handyman" can do it all and is available at a fraction of their costs. We guarantee all workmanship, if you're not happy with any part of our Services or Work Quality we make it right... ! New York City Handyman Services, has become the most trusted handyman service in NYC and its surrounding areas, we've grown our service through a very simple approach, understanding our customers needs and making sure that we consistently fulfill those needs. So, we book specific appointment times, we have the best tools available and make sure that we are up to date with all city regs. We charge sensible prices that are truly competitive when compared to any other NYC service, Hands Down. And, our workmanship is backed by a no quibble guarantee. All this combines to produce outstanding value for your money, with handyman services that consistently receives superior customer satisfaction...Year..after..Year after..Year after..Year...AFTER YEAR..! Our values are steeped in a long-standing dedication to the people we serve, and truly differentiate New York Handyman Services. IN MANHATTAN : Lower East Side, Midtown, Civic Center, Chinatown, East Village , Greenwich Village Little Italy, Nolita, Upper East Side, Harlem, Lower Manhattan, Soho, Upper West Side, Tribeca, Union Square, Flatiron and Gramercy Park. IN BROOKLYN : Mill Basin, Marine Park, Bergen Beach, Gerritsen Beach, Sheepshead Bay. IN QUEENS : South Ozone Park, Howard Beach, Howard Park, Hamilton Beach, JFK Airport. IN THE ROCKAWAY'S : Arverne, Belle Harbor, Breezy Point, Broad Channel, Neponsit, Rockaway Beach, Rockaway Park, Rockaway Point, Roxbury. Hello, my name is James Brennan. Our tradesmen bring years of experience to New York resident's. All of our in-house handymen have extensive backgrounds in construction, home repairs, remodeling, renovations and complete handyman services. Don't pay inflated prices for specific tradesman when "NYC handyman" can do it all and is available at a fraction of their costs. We guarantee all workmanship, if you're not happy with any part of our Services or Work Quality we make it right.! Our goal is to provide our clients with excellent workmanship and superior customer service and as always the lowest possible Handyman rates in New York State. For all of your home or small business maintenance needs, you can count on us to deliver quality workmanship and superior customer service. You can try a different search, view all locations or view all handyman services.